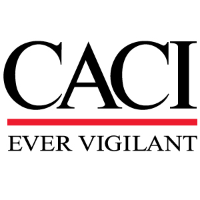 CACI is seeking an Sr.Mechanical Engineer, that provides professional engineering support for heating, ventilating, and air conditioning (HVAC) planning and support for Contractor-supported locations, facilities, and equipment within the designated strategic (fixed), tactical and mobile facilities or mission equipment shelters and in related supporting systems inside or outside the secure areas. Provides testing and balancing services and support for air and water systems. Collaborates with hardware and software designers/engineers, and analysts to develop, coordinate, analyze and evaluate hardware, software, or systems modeling and simulation-based studies and to examine ramifications of output, and design interfaces with various design systems. Reviews engineering design proposals, design drawings, specifications and other technical document submissions and recommend improvements. Provides advice and guidance to Government engineers involving all aspects of HVAC facilities design, construction, operation and maintenance or repair. Reviews reports and studies to identify deficiencies and participate in the planning of construction/redesign programs. Utilize appropriate software and hardware tools to track load changes or other parameters of design, construction, operation and maintenance and repair. Establishes energy and heat load budgets with the objective of identifying current deficiencies, anticipating future requirements and estimating factors to be included in construction planning. Evaluates and recommends methods of load control (including remote and tele-metering techniques) to reduce utility demand and costs. Prepares design concepts, program development brochures, MILCON programming documents, cost estimates, economic analyses, plans and specifications, and all related construction project documentation for construction projects to be executed through contract or with Government in-house resources. Inspects construction projects or existing facilities to identify deficiencies, recommend changes, ascertain compliance with plans and specifications, or for other designated purposes. Provides guidance, direction, and assistance to technicians working in related disciplines. Maintain technical liaison and communication between on-site technicians and the COR. A Bachelor's Degree in mechanical engineering from an accredited college/university. Application engineering for mechanical equipment. Application engineering with experience in design, installation, operation and maintenance of automatic control systems. Supervision of plant operations, maintenance, and repair of physical plant systems and equipment including large-scale HVAC plants and distribution systems. Resident engineering experience on construction projects with large, complex and highly sophisticated HVAC Systems.